Showing recent results 1336 - 1350 of 4500 products found. 3520 - Rochelle Communications, Inc.
KT-6030iG - Kast Eng Co. LTD. This equipment as a Lightning Impulse Simulation Tester has to pass the shock wave immobility efficiency test on all switches(NFB, magnet, the circuit breaker), lightning arrester, surge arrester, etc, according to the technique standard on electric apparatus of the Korean Eectric Safety Management Asociation, which stipulates that there must be no operation error and breakage in case of impressing(Fig 2) the impulse (wave height value 6 §Ç, wave rising time 1.2 §Á,wave duty time 50 §Á (Fig 1)on products by thisLightning Impulse Simulation Tester. 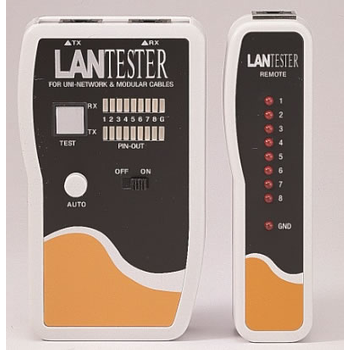 The countermeasures dispenser tester is a self-contained, battery-powered flight-line tester. The CDT improves aircraft readiness by performing fast and reliable flight-line safety and functional checks of the countermeasures dispenser system. BAE Systems Rokar produces CDTs that are compatible with each of the Air Force, Navy, and Army styles of countermeasures dispensers. They replace the AN/ALM-176 Stray Voltage Test Set, the AN/ALM-177 Dispenser Test Set, and the Flight Line Payload Simulator. Flight-line tests are performed by installing a CDT into each dispenser on an aircraft; an alpha-numeric display provides the test results. 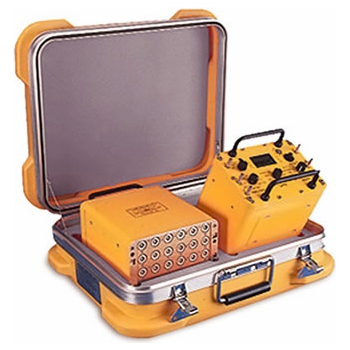 Two CDT units are contained in each carrying case, making a one-man-carry test set known as the Countermeasures Dispenser Test Set. 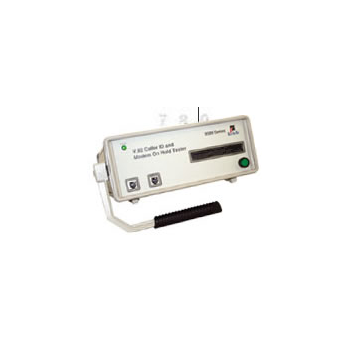 Enables measurements according to VDE 0413. New high accurate, rugged tester with a two-line (16 digit) LCD-display, especially designed to read accurate measurements in harsh environments. Internal guard circuitry to eleminate the measurement errors introduce surface leakage current. The tester is controlled by the latest CMOS microprocessor with testvisual and audible early warning function. 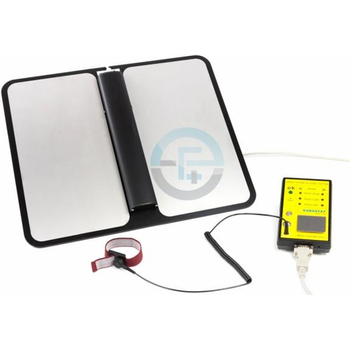 Long calibration interval, EEPROM-technology (Electrically Erasable Programmable Read Only Memory) Enersaveprogram to save batteries/Growbar/flash-test protection/Current limit/Power limit / autodischarge detector-indicator/Auto-off shut down the tester/auto-Stop timer shut down the test. 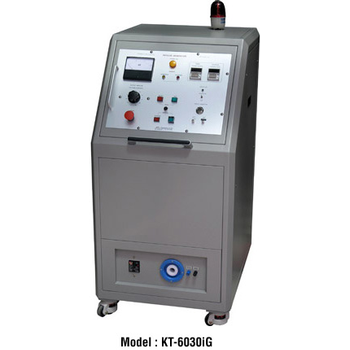 KT-905D - Kast Eng Co. LTD.
Surge Tester of KAST is divided for the use of 3¡­40 §Ç by output voltage, and subdivided into type C of manual decision type, type A of auto decision type, type L of exclusive use for low inductance product test and type P loading printer which can printout its wave form and digital scope. Surge test requires only 0.5 second. 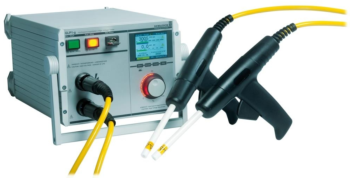 Because Surge tester already performs 30 times of Impulse voltage test only for 0.5 second. Turn-to-turn short : phenomenon shorted between the side coils. 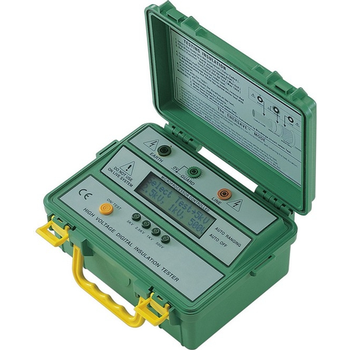 8PK-4103IN - Prokit's Industries Co., Ltd.
Digital high voltage insulation tester 5kV digital tester with 500V increments and high voltage warning alarm. Test voltages from 500V to 5kV in 500V increments. Measure insulation resistance to 300G. LCD display indicates test voltage, test duration and insulation resistance. Measures insulation test voltages up to 5kV and insulation test time. Insulation resistance, autoranging on all ranges. Automatic external live voltage warning. High voltage applied warning buzzer. Complete with built-in heavy duty carrying case, test leads and 8 type C batteries. 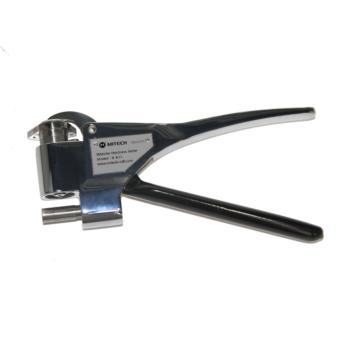 Aluminum Webster tester is also called clamp type hardness tester, They are divided into MW, MW-20a, MW-20b three types, they are light and portable can be hold by one hand, do not need sample when testing, without high skill requirements. It can do fast NDT test of workpiece on site and meet the needs of quality control and qualified rate. It is widely used in production test, acceptance inspection and products quality inspection of aluminum industries and many companies of windows, door and curtain wall, as well as in engineering quality inspection and technical supervision departments. It is a necessary device in raising qualification rate and saving cost. 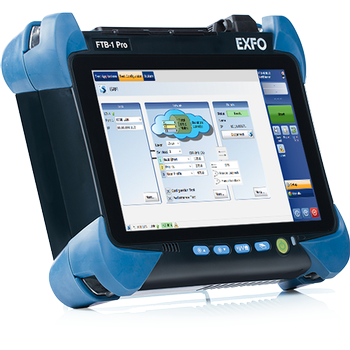 FTB-890 & FTB-890NGE - EXFO Inc. The FTB-890 NetBlazer is the entry level 10M to 100G tester that covers a wide range of technologies including OTN, SONET/SDH, CPRI and Fibre Channel. The FTB-890NGE NetBlazer is the most comprehensive all-in-one tester, including testing for legacy networks at 64K up to next-generation networks at speeds of 100G. Testing traffic speeds ranging from 64K to 100G, the FTB-890 and FTB-890NGE offer a complete suite of testing capabilities to address the transformation of metro networks driven by the surge in demand for high-capacity video, voice and other services, as well as the specific testing requirements of DCIs. 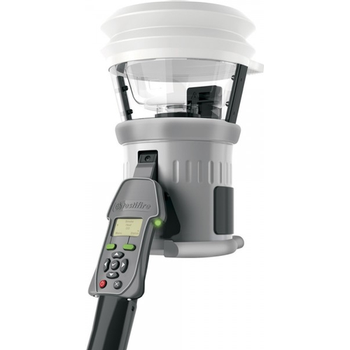 estifire is the world's first multi-stimulus detector tester for smoke, heat and CO fire detectors. It enables faster and more efficient testing of both single and multi-sensor detectors. There are two models available Testifire 1000 for testing smoke and heat and Testifire 2000 for testing smoke, heat and CO. Testifire is the result of several years of technological development and as a result is by far the most advanced tester available. Testifire is UL certified and is approved by leading detector manufacturers from around the world.Read more at the dedicated Testifire website or select from the products below alternatively view our wider range of kits including access poles and removal tools. Model 11800/1181/11810 - MEL Systems and Services Ltd. 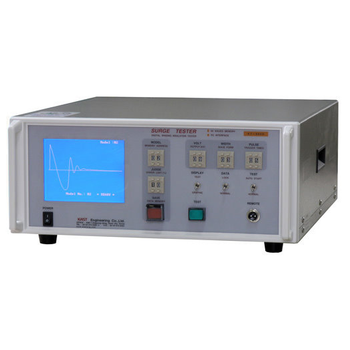 The Chroma 11800/11801/11810 Ripple Current Tester is a precision tester designed for electrolytic capacitors load life testing. 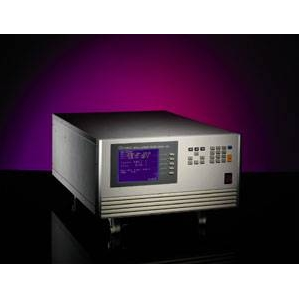 Provides constant ripple current output and constant peak voltage (Vpeak = Vdc + Vac_peak) output digital control function. Let load life testing for electrolytic capacitors becomes easier and more reliable. And, The Chroma 11800/11801/11810 use excellent output amplifier design technology to reduce power consumption and internal temperature rising. For long time testing requirement, it can reduce electricity cost and perform high stability. The Chroma 11800/11801/11810 is a just right test solution for electrolytic quality evaluation. Complete with an integrated printer, it’s now easier than ever to determine and present the current state of a battery and electrical system with the CTEK PRO Battery Tester. The PRO Battery Tester performs quick, simple, and accurate battery or system testsin seconds without heat, sparks, or user interpretation. The results can then be printed and reviewed immediately with customers for added impact to preventative maintenance routines and customer service. The CTEK PRO Battery Tester is patented and features a 2-year warranty. MTR X-SERIES - Qualitest International Inc. 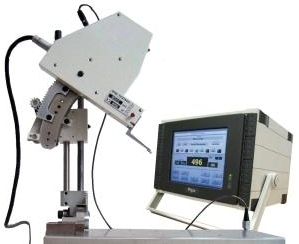 The bench hardness tester MTR X-SERIES operates to determination through the measurement of electrical resistance. The MTR X-SERIES hardness tester has been designed to solve some of the still unsolved issues in the field of hardness control. Its test principle allows the user to perform measurements in difficult or inaccessible points internal surfaces and gear teeth.